And guided them to freedom. As this Tell tale was told us. Once upon a time, more years ago than anybody can remember, before the first hotel had been built or the first Englishman had taken a photograph of Mont Blanc and brought it home to be pasted in an album and shown after tea to his envious friends, Switzerland belonged to the Emperor of Austria, to do what he liked with. One of the first things the Emperor did was to send his friend Hermann Gessler to govern the country. Gessler was not a nice man, and it soon became plain that he would never make himself really popular with the Swiss. The point on which they disagreed in particular was the question of taxes. The Swiss, who were a simple and thrifty people, objected to paying taxes of any sort. They said they wanted to spend their money on all kinds of other things. Gessler, on the other hand, wished to put a tax on everything, and, being Governor, he did it. He made everyone who owned a flock of sheep pay a certain sum of money to him; and if the farmer sold his sheep and bought cows, he had to pay rather more money to Gessler for the cows than he had paid for the sheep. Gessler also taxed bread, and biscuits, and jam, and buns, and lemonade, and, in fact, everything he could think of, till the people of Switzerland determined to complain. They appointed Walter Fürst, who had red hair and looked fierce; Werner Stauffacher, who had gray hair and was always wondering how he ought to pronounce his name; and Arnold of Melchthal, who had light-yellow hair and was supposed to know a great deal about the law, to make the complaint. They called on the Governor one lovely morning in April, and were shown into the Hall of Audience. The other two pushed Walter Fürst forward because he looked fierce, and they thought he might frighten the Governor. “–Whom I represent,” whispered Arnold of Melchthal. Arnold of Melchthal broke in hastily. “Yes. And we are not going to put up with it any longer!” shouted Arnold of Melchthal. Gessler leaned forward in his throne. “Might I ask you to repeat that remark?” he said. Gessler sat back again with an ugly smile. “Oh,” he said–”oh, indeed! You aren’t, aren’t you! Desire the Lord High Executioner to step this way,” he added to a soldier who stood beside him. The Lord High Executioner entered the presence. He was a kind-looking old gentleman with white hair, and he wore a beautiful black robe, tastefully decorated with death’s-heads. “Your Excellency sent for me?” he said. “Just this minute boiled over,” replied a voice from the other side of the door. Enter Robert, in a suit of armour and a black mask, carrying a large caldron, from which the steam rose in great clouds. “Now, sir, if you please,” said the executioner politely to Arnold of Melchthal. Arnold looked at the caldron. “Why, it’s hot,” he said. He took Arnold’s left hand, and dipped the tip of the first finger into the oil. Arnold admitted that he thought that, after all, there might be something to be said for it. “And do you think the same?” he asked of Walter and Werner. “Oh yes, your Excellency!” they cried. And, as he finished this speech, the three spokesmen of the people of Switzerland were shown out of the Hall of Audience. They were met in the street outside by a large body of their fellow-citizens, who had accompanied them to the Palace, and who had been spending the time since their departure in listening by turns at the keyhole of the front-door. But as the Hall of Audience was at the other side of the Palace, and cut off from the front-door by two other doors, a flight of stairs, and a long passage, they had not heard very much of what had gone on inside, and they surrounded the three spokesmen as they came out, and questioned them eagerly. “Has he taken off the tax on jam?” asked Ulric the smith. “What is he going to do about the tax on mixed biscuits?” shouted Klaus von der Flue, who was a chimney-sweep of the town and loved mixed biscuits. “What did the Governor say?” asked Jost Weiler, a practical man, who liked to go straight to the point. The three spokesmen looked at one another a little doubtfully. At the mention of finger-tips, Arnold of Melchthal uttered a sharp howl. There was a dead silence for several minutes, while everybody looked at everybody else in dismay. The silence was broken by Arnold of Sewa. Arnold of Sewa had been disappointed at not being chosen as one of the three spokesmen, and he thought that if he had been so chosen all this trouble would not have occurred. “But we didn’t rush,” said Walter Fürst. “But we didn’t shout,” said Walter Fürst. And Arnold of Sewa twirled his moustache and looked offended. His friends instantly suggested that he should be allowed to try where the other three had failed, and the rest of the crowd, beginning to hope once more, took up the cry. The result was that the visitors’ bell of the Palace was rung for the second time. Arnold of Sewa went in, and the door was banged behind him. Five minutes later he came out, sucking the first finger of his left hand. “I knew he would,” said Arnold of Melchthal. “Then I think you might have warned me,” snapped Arnold of Sewa, dancing with the pain of his burnt finger. “Then he really won’t let us off the taxes?” asked the crowd in disappointed voices. “Down with the tyrant!” shouted Walter Fürst. “Down with the taxes!” shrieked the crowd. A scene of great enthusiasm followed. The last words were spoken by Werner Stauffacher. “We want a leader,” he said. “For he’s a jolly good fellow! For he’s a jolly good fellow!! For he’s a jolly good fe-e-ll-ow!!!! And having sung this till they were all quite hoarse, they went off to their beds to get a few hours’ sleep before beginning the labours of the day. In a picturesque little châlet high up in the mountains, covered with snow and edelweiss (which is a flower that grows in the Alps, and you are not allowed to pick it), dwelt William Tell, his wife Hedwig, and his two sons, Walter and William. Such a remarkable man was Tell that I think I must devote a whole chapter to him and his exploits. There was really nothing he could not do. He was the best shot with the cross-bow in the whole of Switzerland. He had the courage of a lion, the sure-footedness of a wild goat, the agility of a squirrel, and a beautiful beard. If you wanted someone to hurry across desolate ice-fields, and leap from crag to crag after a chamois, Tell was the man for your money. If you wanted a man to say rude things to the Governor, it was to Tell that you applied first. Once when he was hunting in the wild ravine of Schächenthal, where men were hardly ever to be seen, he met the Governor face to face. There was no way of getting past. On one side the rocky wall rose sheer up, while below the river roared. Directly Gessler caught sight of Tell striding along with his cross-bow, his cheeks grew pale and his knees tottered, and he sat down on a rock feeling very unwell indeed. “Aha!” said Tell. “Oho! so it’s you, is it? I know you. And a nice sort of person you are, with your taxes on bread and sheep, aren’t you! You’ll come to a bad end one of these days, that’s what will happen to you. Oh, you old reprobate! Pooh!” And he had passed on with a look of scorn, leaving Gessler to think over what he had said. And Gessler ever since had had a grudge against him, and was only waiting for a chance of paying him out. “Well, mind you do,” was Hedwig’s reply. On another occasion, when the Governor’s soldiers were chasing a friend of his, called Baumgarten, and when Baumgarten’s only chance of escape was to cross the lake during a fierce storm, and when the ferryman, sensibly remarking, “What! must I rush into the jaws of death? No man that hath his senses would do that!” refused to take out his boat even for twice his proper fare, and when the soldiers rode down to seize their prey with dreadful shouts, Tell jumped into the boat, and, rowing with all his might, brought his friend safe across after a choppy passage. Which made Gessler the Governor still more angry with him. But it was as a marksman that Tell was so extraordinary. There was nobody in the whole of the land who was half so skilful. He attended every meeting for miles around where there was a shooting competition, and every time he won first prize. Even his rivals could not help praising his skill. “Behold!” they would say, “Tell is quite the pot-hunter,” meaning by the last word a man who always went in for every prize, and always won it. And Tell would say, “Yes, truly am I a pot-hunter, for I hunt to fill the family pot.” And so he did. He never came home empty-handed from the chase. Sometimes it was a chamois that he brought back, and then the family had it roasted on the first day, cold on the next four, and minced on the sixth, with sippets of toast round the edge of the dish. Sometimes it was only a bird (as on the cover of this book), and then Hedwig would say, “Mark my words, this fowl will not go round.” But it always did, and it never happened that there was not even a fowl to eat. In fact, Tell and his family lived a very happy, contented life, in spite of the Governor Gessler and his taxes. Tell was very patriotic. He always believed that some day the Swiss would rise and rebel against the tyranny of the Governor, and he used to drill his two children so as to keep them always in a state of preparation. They would march about, beating tin cans and shouting, and altogether enjoying themselves immensely, though Hedwig, who did not like noise, and wanted Walter and William to help her with the housework, made frequent complaints. “Mark my words,” she would say, “this growing spirit of militarism in the young and foolish will lead to no good,” meaning that boys who played at soldiers instead of helping their mother to dust the chairs and scrub the kitchen floor would in all probability come to a bad end. But Tell would say, “Who hopes to fight his way through life must be prepared to wield arms. Carry on, my boys!” And they carried on. It was to this man that the Swiss people had determined to come for help. Talking matters over in the inn of the town, the Glass and Glacier, the citizens came to the conclusion that they ought to appoint three spokesmen to go and explain to Tell just what they wanted him to do. “Well, and you didn’t either!” snapped Arnold of Melchthal, whose finger still hurt him, and made him a little bad-tempered. And the citizens did not. They chose Werner Stauffacher, Arnold of Melchthal, and Walter Fürst, and, having drained their glasses, the three trudged up the steep hill which led to Tell’s house. It had been agreed that everyone should wait at the Glass and Glacier until the three spokesmen returned, in order that they might hear the result of their mission. Everybody was very anxious. A revolution without Tell would be quite impossible, and it was not unlikely that Tell might refuse to be their leader. The worst of a revolution is that, if it fails, the leader is always executed as an example to the rest. And many people object to being executed, however much it may set a good example to their friends. On the other hand, Tell was a brave man and a patriot, and might be only too eager to try to throw off the tyrant’s yoke, whatever the risk. They had waited about an hour, when they saw the three spokesmen coming down the hill. Tell was not with them, a fact which made the citizens suspect that he had refused their offer. The first thing a man does when he has accepted the leadership of a revolution is to come and plot with his companions. “Well?” said everybody eagerly, as the three arrived. Werner Stauffacher shook his head. “We did exercise tact,” said Stauffacher indignantly; “but he would not be persuaded. It was like this: We went to the house and knocked at the door. Tell opened it. ‘Good-morning,’ I said. “And what did you say to that?” asked Ulric the smith. “I said he did not know the Governor if he thought he could ever grow tired of oppressing. ‘We might do much,’ I said, ‘if we held fast together. Union is strength,’ I said. Ulric the smith rapped for silence on the table. And the citizens settled down without further delay to a little serious plotting. A few days after this, Hedwig gave Tell a good talking to on the subject of his love for adventure. He was sitting at the door of his house mending an axe. Hedwig, as usual, was washing up. Walter and William were playing with a little cross-bow not far off. “Want to go with father,” said Walter, beginning to cry, for his father had promised to take him with him the next time he went to the town, and he had saved his pocket-money for the occasion. “All right, father,” said William. And without further delay he set off with Walter for the town. In the meantime all kinds of things of which Tell had no suspicion had been happening in the town. The fact that there were no newspapers in Switzerland at that time often made him a little behindhand as regarded the latest events. He had to depend, as a rule, on visits from his friends, who would sit in his kitchen and tell him all about everything that had been going on for the last few days. And, of course, when there was anything very exciting happening in the town, nobody had time to trudge up the hill to Tell’s châlet. They all wanted to be in the town enjoying the fun. What he liked chiefly was to forbid something. He would find out what the people most enjoyed doing, and then he would send a herald to say that he was very sorry, but it must stop. He found that this annoyed the Swiss more than anything. But now he was rather puzzled what to do, for he had forbidden everything he could think of. He had forbidden dancing and singing, and playing on any sort of musical instrument, on the ground that these things made such a noise, and disturbed people who wanted to work. He had forbidden the eating of everything except bread and the simplest sorts of meat, because he said that anything else upset people, and made them unfit to do anything except sit still and say how ill they were. And he had forbidden all sorts of games, because he said they were a waste of time. So that now, though he wanted dreadfully to forbid something else, he could not think of anything. He told his servants to cut a long pole. And they cut a very long pole. Then he said to them, “Go into the hall and bring me one of my hats. Not my best hat, which I wear on Sundays and on State occasions; nor yet my second-best, which I wear every day; nor yet, again, the one I wear when I am out hunting, for all these I need. Fetch me, rather, the oldest of my hats.” And they fetched him the very oldest of his hats. Then he said, “Put it on top of the pole.” And they put it right on top of the pole. And, last of all, he said, “Go and set up the pole in the middle of the meadow just outside the gates of the town.” And they went and set up the pole in the very middle of the meadow just outside the gates of the town. Then he sent his heralds out to north and south and east and west to summon the people together, because he said he had something very important and special to say to them. And the people came in tens, and fifties, and hundreds, men, women, and children; and they stood waiting in front of the Palace steps till Gessler the Governor should come out and say something very important and special to them. And punctually at eleven o’clock, Gessler, having finished a capital breakfast, came out on to the top step and spoke to them. And Gessler disappeared indoors again, just as a volley of eggs and cabbages whistled through the air. And the soldiers began to hustle the crowd down the various streets till the open space in front of the Palace gates was quite cleared of them. All this happened the day before Tell and Walter set out for the town. Having set up the pole and cap in the meadow, Gessler sent two of his bodyguard, Friesshardt (I should think you would be safe in pronouncing this Freeze-hard, but you had better ask somebody who knows) and Leuthold, to keep watch there all day, and see that nobody passed by without kneeling down before the pole and taking off his hat to it. But the people, who prided themselves on being what they called üppen zie schnuffen, or, as we should say, “up to snuff,” and equal to every occasion, had already seen a way out of the difficulty. They knew that if they crossed the meadow they must bow down before the pole, which they did not want to do, so it occurred to them that an ingenious way of preventing this would be not to cross the meadow. So they went the long way round, and the two soldiers spent a lonely day. “What I sez,” said Friesshardt, “is, wot’s the use of us wasting our time here?” (Friesshardt was not a very well-educated man, and he did not speak good grammar.) “None of these here people ain’t a-going to bow down to that there hat. Of course they ain’t. Why, I can remember the time when this meadow was like a fair–everybody a-shoving and a-jostling one another for elbow-room; and look at it now! It’s a desert. That’s what it is, a desert. What’s the good of us wasting of our time here, I sez. That’s what I sez. And Friesshardt kicked the foot of the pole viciously with his iron boot. A voice made itself heard from behind a rock not far off. “Where did you get that hat?” said the voice. A crowd was beginning to collect on the edge of the meadow. Its numbers swelled every minute, until quite a hundred of the commoner sort must have been gathered together. They stood pointing at the pole and talking among themselves, but nobody made any movement to cross the meadow. The soldiers took no notice. “Pass along there, pass along!” said the soldiers. Cries of “Where did you get that hat?” began to come from the body of the crowd. When the Swiss invented a catch-phrase they did not drop it in a hurry. Friesshardt and Leuthold stood like two statues in armour, paying no attention to the remarks of the rabble. This annoyed the rabble. They began to be more personal. Roars of laughter greeted this sally. Friesshardt, in spite of the fact that he enjoyed a joke, turned pink. “‘E’s blushing!” shrieked a voice. Then things got still more exciting. And in another instant an egg flew across the meadow, and burst over Leuthold’s shoulder. The crowd howled with delight. This was something like fun, thought they, and the next moment eggs, cabbages, cats, and missiles of every sort darkened the air. The two soldiers raved and shouted, but did not dare to leave their post. At last, just as the storm was at its height, it ceased, as if by magic. Everyone in the crowd turned round, and, as he turned, jumped into the air and waved his hat. A deafening cheer went up. Tell came striding along, Walter by his side, and his cross-bow over his shoulder. He knew nothing about the hat having been placed on the pole, and he was surprised to see such a large crowd gathered in the meadow. He bowed to the crowd in his polite way, and the crowd gave three cheers and one more, and he bowed again. “What is the hat to us?” said Tell; and he began to walk across the meadow with an air of great dignity, and Walter walked by his side, trying to look just like him. Tell looked scornful, but said nothing. Walter looked still more scornful. Shouts of encouragement from the crowd, who were waiting patiently for the trouble to begin. Friesshardt became angrier every minute. Tell pushed him aside, and walked on with his chin in the air. Walter went with him, with his chin in the air. A howl of dismay went up from the crowd as they saw Friesshardt raise his pike and bring it down with all his force on Tell’s head. The sound of the blow went echoing through the meadow and up the hills and down the valleys. Tell’s first idea was that one of the larger mountains in the neighbourhood had fallen on top of him. Then he thought that there must have been an earthquake. Then it gradually dawned upon him that he had been hit by a mere common soldier with a pike. Then he was angry. “Look there!” said Friesshardt, pointing to the cap. “You’ve hurt my head very much,” said Tell. “Feel the bump. If I hadn’t happened to have a particularly hard head I don’t know what might not have happened;” and he raised his fist and hit Friesshardt; but as Friesshardt was wearing a thick iron helmet the blow did not hurt him very much. But it had the effect of bringing the crowd to Tell’s assistance. They had been waiting all this time for him to begin the fighting, for though they were very anxious to attack the soldiers, they did not like to do so by themselves. They wanted a leader. So when they saw Tell hit Friesshardt, they tucked up their sleeves, grasped their sticks and cudgels more tightly, and began to run across the meadow towards him. Neither of the soldiers noticed this. Friesshardt was busy arguing with Tell, and Leuthold was laughing at Friesshardt. So when the people came swarming up with their sticks and cudgels they were taken by surprise. But every soldier in the service of Gessler was as brave as a lion, and Friesshardt and Leuthold were soon hitting back merrily, and making a good many of the crowd wish that they had stayed at home. The two soldiers were wearing armour, of course, so that it was difficult to hurt them; but the crowd, who wore no armour, found that they could get hurt very easily. Conrad Hunn, for instance, was attacking Friesshardt, when the soldier happened to drop his pike. It fell on Conrad’s toe, and Conrad limped away, feeling that fighting was no fun unless you had thick boots on. And so for a time the soldiers had the best of the fight. For many minutes the fight raged furiously round the pole, and the earth shook beneath the iron boots of Friesshardt and Leuthold as they rushed about, striking out right and left with their fists and the flats of their pikes. Seppi the cowboy (an ancestor, by the way, of Buffalo Bill) went down before a tremendous blow by Friesshardt, and Leuthold knocked Klaus von der Flue head over heels. He had said these words standing on the outskirts of the crowd. He now grasped his cudgel and began to steal slowly towards Friesshardt, who had just given Werni the huntsman such a hit with his pike that the sound of it was still echoing in the mountains, and was now busily engaged in disposing of Jost Weiler. Arnold of Sewa crept stealthily behind him, and was just about to bring his cudgel down on his head, when Leuthold, catching sight of him, saved his comrade by driving his pike with all his force into Arnold’s side. Arnold said afterwards that it completely took his breath away. He rolled over, and after being trodden on by everybody for some minutes, got up and limped back to his cottage, where he went straight to bed, and did not get up for two days. All this time Tell had been standing a little way off with his arms folded, looking on. While it was a quarrel simply between himself and Friesshardt he did not mind fighting. But when the crowd joined in he felt that it was not fair to help so many men attack one, however badly that one might have behaved. He now saw that the time had come to put an end to the disturbance. He drew an arrow from his quiver, placed it in his crossbow, and pointed it at the hat. Friesshardt, seeing what he intended to do, uttered a shout of horror and rushed to stop him. But at that moment somebody in the crowd hit him so hard with a spade that his helmet was knocked over his eyes, and before he could raise it again the deed was done. Through the cap and through the pole and out at the other side sped the arrow. And the first thing he saw when he opened his eyes was Tell standing beside him twirling his moustache, while all around the crowd danced and shouted and threw their caps into the air with joy. “A mere trifle,” said Tell modestly. The crowd cheered again and again. Friesshardt and Leuthold lay on the ground beside the pole, feeling very sore and bruised, and thought that perhaps, on the whole, they had better stay there. There was no knowing what the crowd might do after this, if they began to fight again. So they lay on the ground and made no attempt to interfere with the popular rejoicings. What they wanted, as Arnold of Sewa might have said if he had been there, was a few moments’ complete rest. Leuthold’s helmet had been hammered with sticks until it was over his eyes and all out of shape, and Friesshardt’s was very little better. And they both felt just as if they had been run over in the street by a horse and cart. “Speech!” cried someone from the edge of the crowd. “Speech! Speech! Tell, speech!” Everybody took up the cry. “No, no,” said Tell, blushing. “Go on, go on!” shouted the crowd. Shouts of “Hear, hear!” from the crowd, many of whom, misunderstanding Tell’s last remark, proceeded to hit Leuthold and Friesshardt, until stopped by cries of “Order!” from Ulric the smith. He was interrupted by a frightened voice. Gessler, with a bodyguard of armed men, had entered the meadow, and was galloping towards them. Gessler came riding up on his brown horse, and the crowd melted away in all directions, for there was no knowing what the Governor might not do if he found them plotting. They were determined to rebel and to throw off his tyrannous yoke, but they preferred to do it quietly and comfortably, when he was nowhere near. So they ran away to the edge of the meadow, and stood there in groups, waiting to see what was going to happen. Not even Ulric the smith and Ruodi the fisherman waited, though they knew quite well that Tell had not nearly finished his speech. They set the orator down, and began to walk away, trying to look as if they had been doing nothing in particular, and were going to go on doing it–only somewhere else. Tell was left standing alone in the middle of the meadow by the pole. He scorned to run away like the others, but he did not at all like the look of things. Gessler was a stern man, quick to punish any insult, and there were two of his soldiers lying on the ground with their nice armour all spoiled and dented, and his own cap on top of the pole had an arrow right through the middle of it, and would never look the same again, however much it might be patched. It seemed to Tell that there was a bad time coming. Gessler rode up, and reined in his horse. Friesshardt and Leuthold got up, saluted, and limped slowly towards him. They halted beside his horse, and stood to attention. The tears trickled down their cheeks. And he patted Friesshardt on the head. Friesshardt bellowed. Gessler beckoned to one of his courtiers. “Have you a handkerchief?” he said. The courtier did as he was bidden. Gessler turned pale with rage, and glared fiercely at Tell, who stood before him in the grasp of two of the bodyguard. “We have, your Excellency. It was in the ravine of Schächenthal,” said Tell firmly. Walter, who had run away when the fighting began, had returned on seeing his father in the hands of the soldiers. Gessler turned a cold eye upon him. “It is my son Walter, your Excellency,” said Tell. Friesshardt picked one up. Some apples had been thrown at him and Leuthold earlier in the day, and there were several lying about. And he regarded Tell with a look of malicious triumph. “Sooner would I die,” said Tell. The crowd, seeing a discussion going on, had left the edge of the meadow and clustered round to listen. A groan of dismay went up at the Governor’s words. “I won’t!” said Walter stoutly. Walter Fürst flung himself on his knees before the Governor. But Walter Tell broke in impatiently, and bade his grandfather rise, and not kneel to the tyrant. “Let us bind your eyes, at least,” said Rudolph der Harras. “Very well, young man,” muttered Gessler, “we’ll see who is laughing five minutes from now.” And once more he bade the crowd stand back and leave a way clear for Tell to shoot. The crowd fell back, leaving a lane down which Walter walked, carrying the apple. There was dead silence as he passed. Then the people began to whisper excitedly to one another. Werner Stauffacher, prudent man, scratched his chin thoughtfully. Gessler, who had been fidgeting on his horse for some time, now spoke again, urging Tell to hurry. “Immediately,” replied Tell, fitting the arrow to the string. Gessler began to mock him once more. Tell did not reply. He raised his bow and pointed it. There was a stir of excitement in the crowd, more particularly in that part of the crowd which stood on his right, for, his hand trembling for the first time in his life, Tell had pointed his arrow, not at his son, but straight into the heart of the crowd. “Here! Hi! That’s the wrong way! More to the left!” shouted the people in a panic, while Gessler roared with laughter, and bade Tell shoot and chance it. Tell lowered his bow, and a sigh of relief went through the crowd. Then he turned to the Governor. While he was speaking, Tell had been standing in silence, his hands trembling and his eyes fixed, sometimes on the Governor, sometimes on the sky. He now seized his quiver, and taking from it a second arrow, placed it in his belt. Gessler watched him, but said nothing. Tell, calm again now, raised his bow and took a steady aim. Everybody craned forward, the front ranks in vain telling those behind that there was nothing to be gained by pushing. Gessler bent over his horse’s neck and peered eagerly towards Walter. A great hush fell on all as Tell released the string. “Phut!” went the string, and the arrow rushed through the air. A moment’s suspense, and then a terrific cheer rose from the spectators. The apple had leaped from Walter’s head, pierced through the centre. Intense excitement instantly reigned. Their suspense over, the crowd cheered again and again, shook hands with one another, and flung their caps into the air. Everyone was delighted, for everyone was fond of Tell and Walter. It also pleased them to see the Governor disappointed. He had had things his own way for so long that it was a pleasant change to see him baffled in this manner. Not since Switzerland became a nation had the meadow outside the city gates been the scene of such rejoicings. Walter had picked up the apple with the arrow piercing it, and was showing it proudly to all his friends. Rudolph der Harras took the apple from Walter and showed it to Gessler, who had been sitting transfixed on his horse. “It was very nearly a ‘Master Walter shot,’” said Rösselmann the priest severely, fixing the Governor with a stern eye. Gessler made no answer. He sat looking moodily at Tell, who had dropped his cross-bow and was standing motionless, still gazing in the direction in which the arrow had sped. Nobody liked to be the first to speak to him. He bit a large piece out of the apple, which he still held. Walter uttered a piercing scream as he saw the mouthful disappear. Up till now he had shown no signs of dismay, in spite of the peril which he had had to face; but when he watched Rudolph eating the apple, which he naturally looked upon as his own property, he could not keep quiet any longer. Rudolph handed him the apple with an apology, and he began to munch it contentedly. “Come with me to your mother, my boy,” said Rösselmann. Walter took no notice, but went on eating the apple. Tell came to himself with a start, looked round for Walter, and began to lead him away in the direction of his home, deaf to all the cheering that was going on around him. Gessler leaned forward in his saddle. “A second arrow!” Tell pretended to be very much astonished, but the pretence did not deceive the Governor. Tell looked down uneasily, and twisted his bow about in his hands. Tell stopped fidgeting with his bow, and met the Governor’s eye with a steady gaze. He drew the arrow from his belt and held it up. The crowd pressed forward, hanging on his words. A murmur of approval broke from the crowd as Tell thrust the arrow back into the quiver and faced the Governor with folded arms and burning eyes. Gessler turned white with fury. “Seize that man!” he shouted. “My lord, bethink you,” whispered Rudolph der Harras; “you promised him his life. Tell, fly!” he cried. The soldiers tied Tell’s hands. He offered no resistance. And amidst the groans of the people he was led away to the shore of the lake, where Gessler’s ship lay at anchor. The castle of Küssnacht lay on the opposite side of the lake, a mighty mass of stone reared on a mightier crag rising sheer out of the waves, which boiled and foamed about its foot. Steep rocks of fantastic shape hemmed it in, and many were the vessels which perished on these, driven thither by the frequent storms that swept over the lake. Gessler and his men, Tell in their midst, bound and unarmed, embarked early in the afternoon at Flüelen, which was the name of the harbour where the Governor’s ship had been moored. Flüelen was about two miles from Küssnacht. When they had arrived at the vessel they went on board, and Tell was placed at the bottom of the hold. It was pitch dark, and rats scampered over his body as he lay. The ropes were cast off, the sails filled, and the ship made her way across the lake, aided by a favouring breeze. A large number of the Swiss people had followed Tell and his captors to the harbour, and stood gazing sorrowfully after the ship as it diminished in the distance. There had been whispers of an attempted rescue, but nobody had dared to begin it, and the whispers had led to nothing. Few of the people carried weapons, and the soldiers were clad in armour, and each bore a long pike or a sharp sword. As Arnold of Sewa would have said if he had been present, what the people wanted was prudence. It was useless to attack men so thoroughly able to defend themselves. Therefore the people looked on and groaned, but did nothing. For some time the ship sped easily on her way and through a calm sea. Tell lay below, listening to the trampling of the sailors overhead, as they ran about the deck, and gave up all hope of ever seeing his home and his friends again. But soon he began to notice that the ship was rolling and pitching more than it had been doing at first, and it was not long before he realized that a very violent storm had begun. Storms sprung up very suddenly on the lake, and made it unsafe for boats that attempted to cross it. Often the sea was quite unruffled at the beginning of the crossing, and was rough enough at the end to wreck the largest ship. Tell welcomed the storm. He had no wish to live if life meant years of imprisonment in a dark dungeon of Castle Küssnacht. Drowning would be a pleasant fate compared with that. He lay at the bottom of the ship, hoping that the next wave would dash them on to a rock and send them to the bottom of the lake. The tossing became worse and worse. Upon the deck Gessler was standing beside the helmsman, and gazing anxiously across the waters at the rocks that fringed the narrow entrance to the bay a few hundred yards to the east of Castle Küssnacht. This bay was the only spot for miles along the shore at which it was possible to land safely. For miles on either side the coast was studded with great rocks, which would have dashed a ship to pieces in a moment. It was to this bay that Gessler wished to direct the ship. But the helmsman told him that he could not make sure of finding the entrance, so great was the cloud of spray which covered it. A mistake would mean shipwreck. “What are we to do?” asked Rudolph der Harras, who was standing near. The helmsman hesitated. Then he spoke, eyeing the Governor uneasily. The ship drew nearer to the rocks. “Bring him here,” said Gessler. Two soldiers went down to the hold and released Tell. They bade him get up and come with them. Tell followed them on deck, and stood before the Governor. Tell looked at him without speaking. Without a word Tell took the helmsman’s place, peering keenly into the cloud of foam before him. To right and to left he turned the vessel’s head, and to right again, into the very heart of the spray. They were right among the rocks now, but the ship did not strike on them. Quivering and pitching, she was hurried along, until of a sudden the spray-cloud was behind her, and in front the calm waters of the bay. Gessler beckoned to the helmsman. “Take the helm again,” he said. “Bind him,” he said to the soldiers. The soldiers advanced slowly, for they were loath to bind the man who had just saved them from destruction. But the Governor’s orders must he obeyed, so they came towards Tell, carrying ropes with which to bind him. Tell moved a step back. The ship was gliding past a lofty rock. It was such a rock as Tell had often climbed when hunting the chamois. He acted with the quickness of the hunter. Snatching up the bow and quiver which lay on the deck, he sprang on to the bulwark of the vessel, and, with a mighty leap, gained the rock. Another instant, and he was out of reach. Gessler roared to his bowmen. The bowmen hastily fitted arrow to string. They were too late. Tell was ready before them. There was a hiss as the shaft rushed through the air, and the next moment Gessler the Governor fell dead on the deck, pierced through the heart. Tell’s second arrow had found its mark, as his first had done. 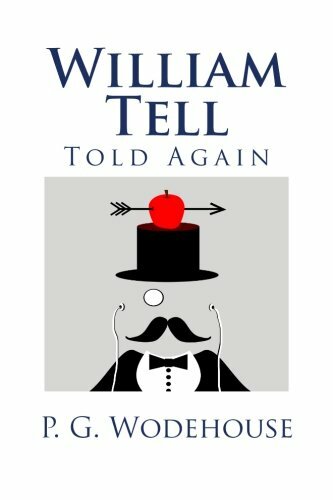 There is not much more of the story of William Tell. The death of Gessler was a signal to the Swiss to rise in revolt, and soon the whole country was up in arms against the Austrians. It had been chiefly the fear of the Governor that had prevented a rising before. It had been brewing for a long time. The people had been bound by a solemn oath to drive the enemy out of the country. All through Switzerland preparations for a revolution were going on, and nobles and peasants had united. Directly the news arrived that the Governor was slain, meetings of the people were held in every town in Switzerland, and it was resolved to begin the revolution without delay. All the fortresses that Gessler had built during his years of rule were carried by assault on the same night. The last to fall was one which had only been begun a short time back, and the people who had been forced to help to build it spent a very pleasant hour pulling down the stones which had cost them such labour to put in their place. Even the children helped. It was a great treat to them to break what they pleased without being told not to. A number of people rushed up, bearing the pole which Gessler’s soldiers had set up in the meadow. The hat was still on top of it, nailed to the wood by Tell’s arrow. “What shall we do with it?” cried several voices. It was Rösselmann the pastor, and he brought stirring news. “These are strange times in which we live,” said Rösselmann, coming up. “Why, what has happened?” cried everybody. By the death of the Emperor the revolution in Switzerland was enabled to proceed without check. The successor of the Emperor had too much to do in defending himself against the slayers of his father to think of attacking the Swiss, and by the time he was at leisure they were too strong to be attacked. So the Swiss became free. As for William Tell, he retired to his home, and lived there very happily ever afterwards with his wife and his two sons, who in a few years became very nearly as skilful in the use of the cross-bow as their father.